Happy monday folks and hope you all had a lovely weekend. 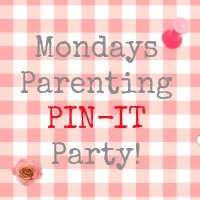 This week I am happy to be hosting another monday #pinitparty. I do hope that you will come join us this week and link up any family/parenting/craft/recipe posts you might want to share. They don’t even need to be recent. Perhaps show some old classic posts some love. With The Boy starting school for the very first time tomorrow I could not resist featuring this super cute Back to School Bus Craft from the awesome DabblingMomma. So cute and perfect timing. Second, I am in awe at this AMAZING toddler busy board. I am not sure I could ever replicate it but it might be fun trying. Check this out from Hands on as we Grow…. 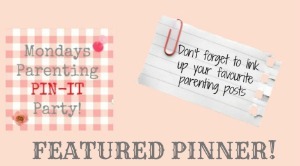 Huge thanks to our two featured pinners and feel free to grab yourself a badge! Thanks for hosting! That busy board feature is so awesome! I’m so glad you enjoyed our bus craft! Thanks so much for choosing to include with your features! I’m so glad you liked our bus craft! Thanks for choosing to include with your features! !